Welcome to Begbies Traynor Bournemouth. We are a group of licensed Insolvency Practitioners in Bournemouth offering services to help companies with either rescue or closure options. Our Bournemouth office is a key location for Begbies Traynor along the south coast of England. 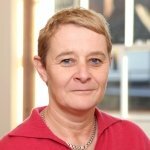 Our team of insolvency practitioners and corporate recovery experts in Bournemouth are led by Julie Palmer, who has many years of experience working with financially distressed companies of all kinds. From our office in central Bournemouth, we are able to deliver exceptionally high calibre services and advice in all areas of corporate and personal insolvency. We help directors of companies facing difficulties to find a route forward that works for them and offers the strongest possible chance of finding positive solutions. Our experts specialise in everything from administration to corporate recovery, and from company voluntary arrangements to liquidation. The reality of seeing your company forced into a position of near disaster is extremely challenging and directors need all the trustworthy support and guidance they can get, particularly around the key issues. At Begbies Traynor we’re able to offer that and much more besides. Whether you are a company director facing financial distress or you’re a creditor trying to assess your options regarding debt recovery, we can help provide clear answers to even the toughest questions. The sooner you call us to arrange a free initial consultation, the sooner you can start taking positive steps to resolve the financial issues that concern you. We do have further offices in the South-West region which are located in Bath, Bristol, Cheltenham, Exeter, Oxford, Salisbury and Swindon which you may find more convenient for you.